Our automotive experts at Convenience Car Care have more than 15 years of experience and proudly provide the Northfield, Owatonna, Faribault, Minnesota area with a wide variety of auto repair services. We guarantee the most professional and personalized service for your vehicle repairs. We are committed to providing superior customer service every time. Visit our services page to learn more about our services and what we can offer you. 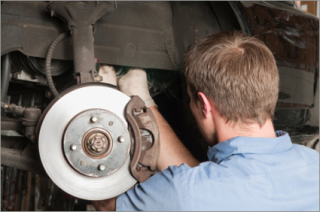 Our full-service maintenance and repair shop is equipped and ready to take care of any auto issues you bring us. We perform both foreign and domestic repairs, including brakes, fuel injection systems and computerized engine controls. We also offer towing and car starting services. Whatever is wrong with your car, let Convenience Car care take care of it. We will give you top quality repairs at great prices! Most repairs offer a nationwide 12 month / 12,000 mile warranty. Ask about our student, senior, military and volume discounts. Do you have questions about how cars work? Click here to research your questions on our Online NAPA Service Assistant. For all your auto repair needs, choose the team at Convenience Car Care! If you are in the Northfield, Owatonna, Faribault, Minnesota area and would like to learn more about our company, take look through our site for more information on our services. Contact us directly if you would like to schedule an appointment. CONVENIENCE CAR CARE providing auto and vehical maintenance and repair for individuals, and businesses in Northfield, Owatonna, and Faribault, Minnesota. Call CONVENIENCE CAR CARE for automobile repair in the upper midwest, (507) 663-7731. CONVENIENCE CAR CARE services include auto repair, auto maintenance, oil change, fleet repair, and small engine repair.